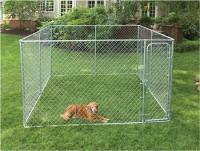 • Dimensions: 42" x 28" x 30"
• Removable plastic crate tray included Merry Products Dog Crate with Wooden Cover. 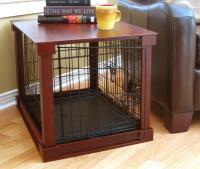 The Merry Products Dog Crate with Wooden Cover combines style and functionality. 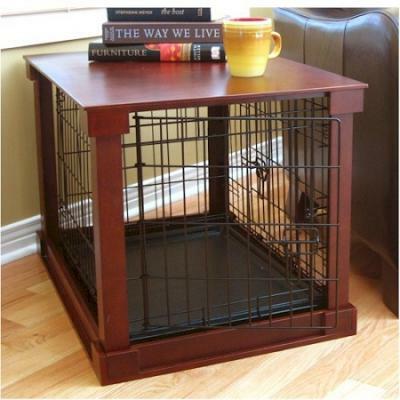 The design combines the traditional wire crate with an elegant wooden frame creating a furniture like appearance in your home. The wooden frame is perfect for use as a side table, night stand or free standing and the wire crate still gives your pet visibility. Removable plastic crate tray and removable front panel make cleaning a breeze. 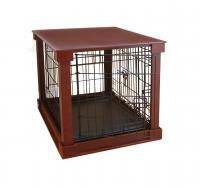 This dog crate can be used with the elegant wood frame or by itself for transportation. 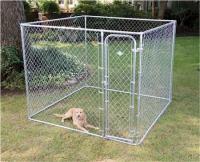 Wooden crate cover can be easily assembled and disassembled, no hardware is required. 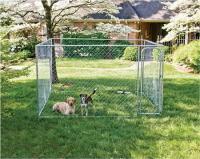 Now you can give your pet a place of his own that fits in perfectly with your home decor.